Besides the bright blue sea and the constant sea breeze, there is another good reason to visit Maceió: the city's restaurants, headed by a new generation of cooks who value traditional ingredients not only in local cuisine but also in new recipes adapted from other parts of Brazil. 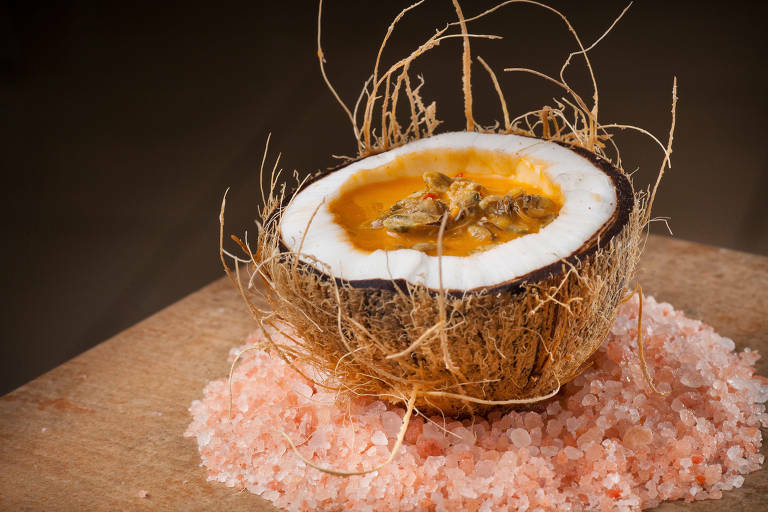 Alagoas gastronomy gained more popularity after local chefs started to appear at national reality shows. Chefs Simone Bert (Wanchako) and Paulo Quintella (Aratu)m for example, were part of the cast of last year's edition of MasterChef Professionals. Together, they have more than 90,000 followers on Instagram. At Quintella's restaurant Aratu, named after a small red crab that lives in saltwater marshes, dishes use local ingredients in different ways: an appetizer that uses cassava as a tortilla with shrimp and curd cheese; an entrée with the same cassava in the form of couscous, as a side dish for a grilled fish with sauteed shrimp. The restaurant is located at Marechal Deodoro, 25 minutes away from the capital Maceió. A small village inside the township, called Massagueira, enjoys its privileged position next to a lagoon and is considered a hub for seafood restaurants. The Manguabá lagoon is the largest in Alagoas and supplies the state with crabs, catfish, and tilapia. Share this "Photo Expedition Reveals Isolated Village in Marajó Island"
Share this "Coworking Space Boosts Synergy Between Startups and Technology Giants"
Share this "Contemporary Art Biennale Establishes Curitiba as A Cultural Destination"
Share this "Supreme Court Approves Salary Raise For Justices"
Share this "Hiking Trails, Waterfalls and Cool Weather Make Travelling to Ceará During The Brazilian Winter Worthwhile"